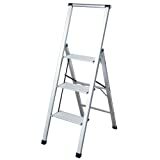 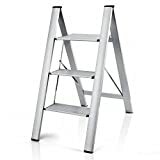 This cool new Heavy-Duty Slimline Step Ladder is a super slim and extra space-saving step ladder that's made from sleek and sturdy aircraft-grade aluminum and fits into a 2"-deep sliver of space when folded. 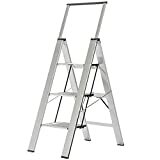 Available in one, two or three step models. 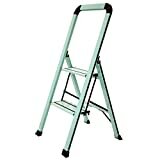 3-step ladder weighs a durable 21 lbs. 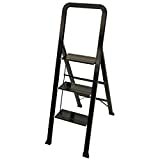 - 2-step is 16 lbs.